After having a sumptuous breakfast at Bana’s Café, our tourist guide arrived for our first itenary for the day – Pongas falls. 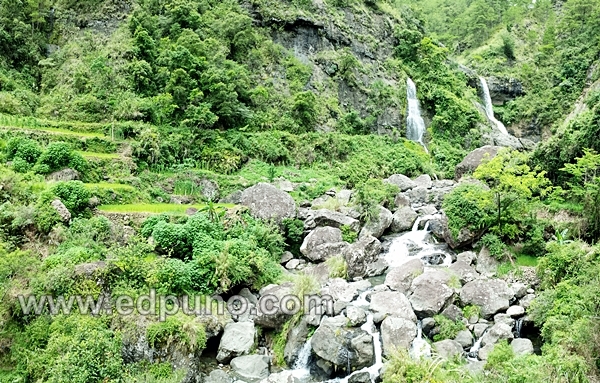 This Sagada tourist attraction is located in Ankileng, Southern part of the province. 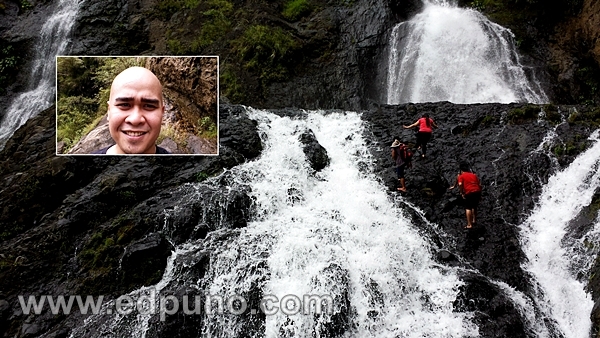 Travel time from Sagada proper to Ankileng is only 20 minutes via jeepney or van. Rice field in Angkileng, Sagada, Mountan Province. 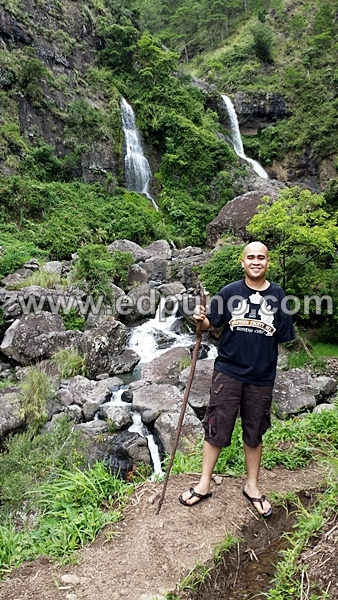 This is also the drop off area and the starting point of an hour trek to Pongas Falls. From the drop off, the trek started. we passed by the scenic view of Angkileng Elementary School. 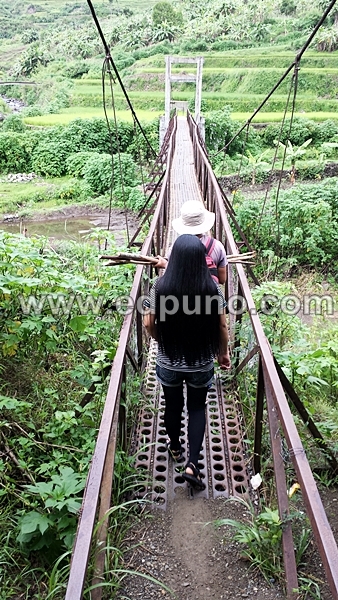 The trek continues through an approximately 30 meters hanging metal bridge. The bridge is heading the Angkileng rice terraces.
. Our tourist guide (left photo) was holding walking sticks which we’ll be needing on the latter part of the trek. We were all enjoying the refreshing surroundings of Ankileng rice terraces. After a long and tiring yet refreshing walk in Ankileng rice terraces, we arrived at the village proper. We stopped over at a store to rest and had some drinks. 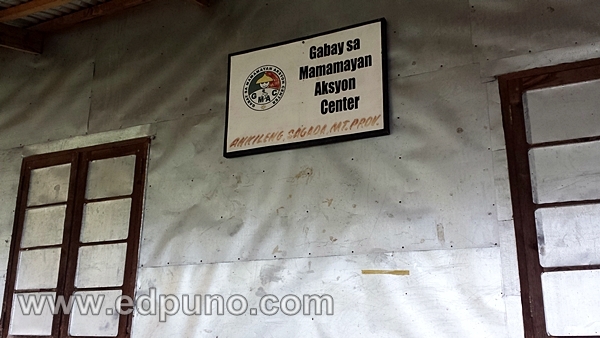 Few meters away from the store is the Ankileng Baranggay post. We paid for a registration fee of 10 Php each. 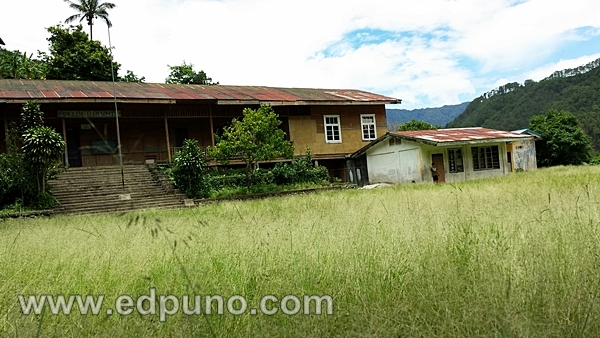 The trek continued in uphill direction passing through the village with friendly locals. After an exhausting uphill walk in the village, we were greeted by steep rocky trails. (Left photo) My friends Len and Ejay. 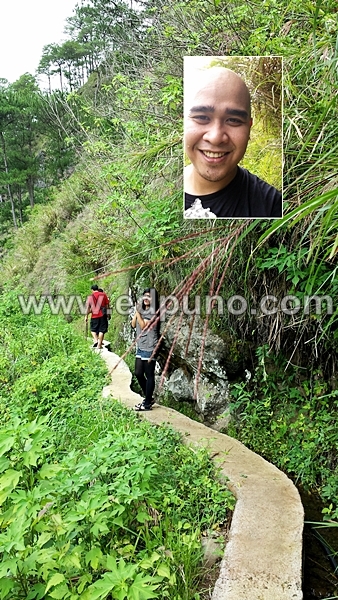 (Right photo) Our tour guide and my friend Bert trying to climb a very steep trail. 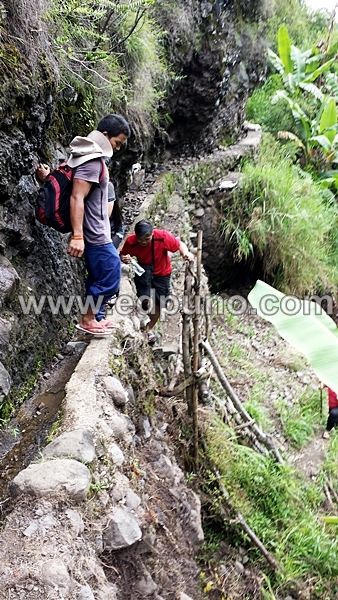 The trek includes narrow trail and steep cliffs which makes the experience challenging, exciting and a bit dangerous. 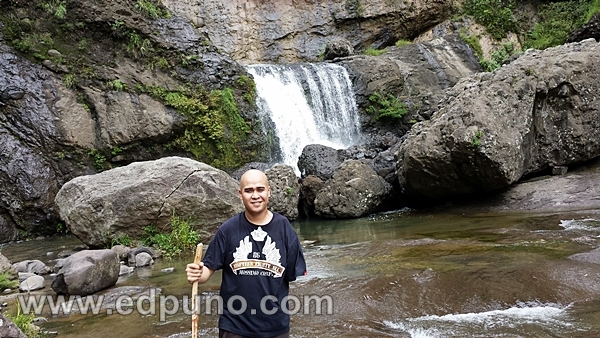 (Left Photo) Our tour guide kept on telling us that we’ll pass a highway before reaching the falls. We were all thinking that he was referring to the real highway but it was actually a cemented trail for trekkers. This highway is approximately 50 to 60 feet above the ground. (Right Photo) Scenic view from the highway to Pongas Falls. Spectacular view from the highest point of the highway. 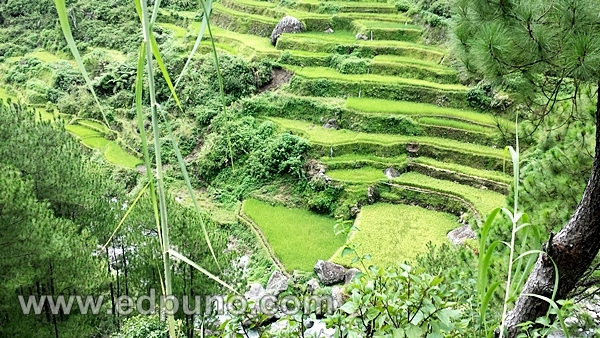 Who says that Rice Terraces can only be seen in Banaue? 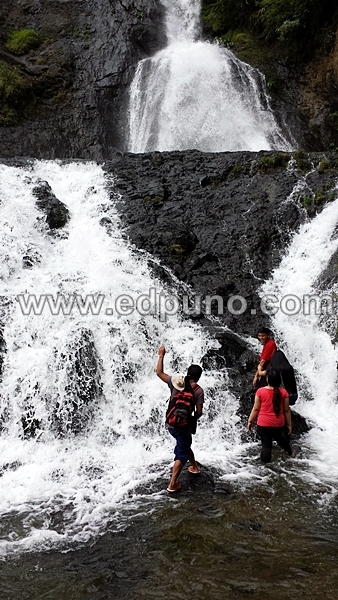 At the end of the highway comes the scenic view of Pongas Falls. Pongas falls perfectly creates a picture perfect scene. Yes! The view is truly amazing but the trek doesn’t end here. 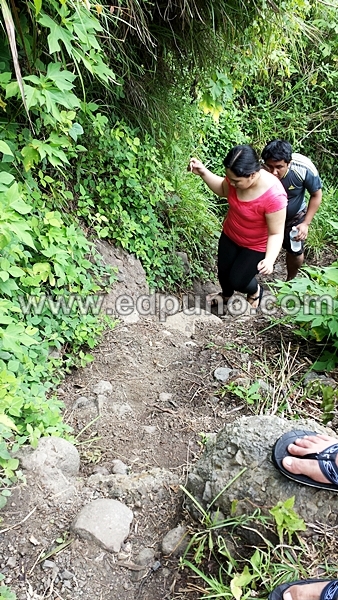 We are yet to pass trough a rocky and slippery trail to get to the falls itself. The real challenge faced me when I had to climb a 5 foot wall of rock perpendicular to the ground. Thanks to our tour guide and my friends for helping me out. Finally, we arrived at the falls. The views are amazing. The sound that water creates while it pours and smashes to the ground is perfect and very relaxing. Rhythm that is way better than ones in ambient music. Well, the water is cold and clear too. We had gone a looong way and reaching at this point was already fulfilling. (Left photo) My friends wanted to climb more. Okay, my friend Ejay was convincing me to climb. 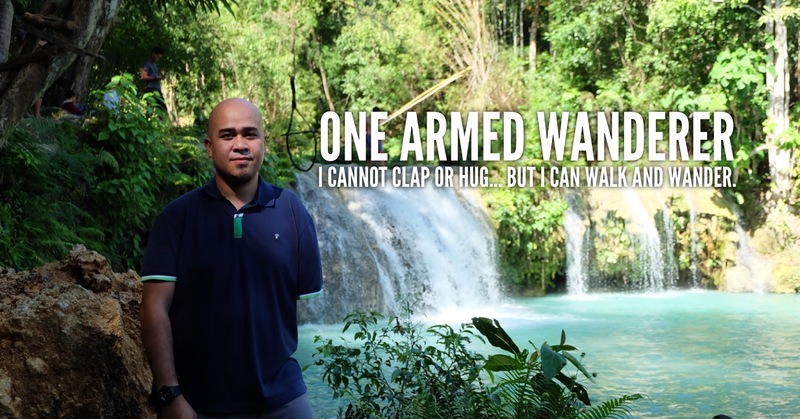 We stayed in Pongas falls for about an hour and a half and headed back to the drop off site safely.The trek is truly an adventure, a test of one’s courage and determination. 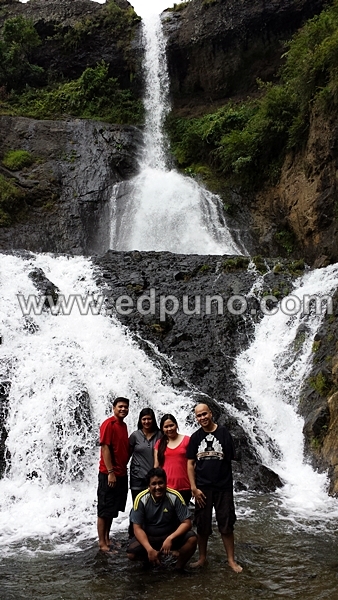 Despite of the challenging trek, it was really fulfilling that we all made it safely to the falls. 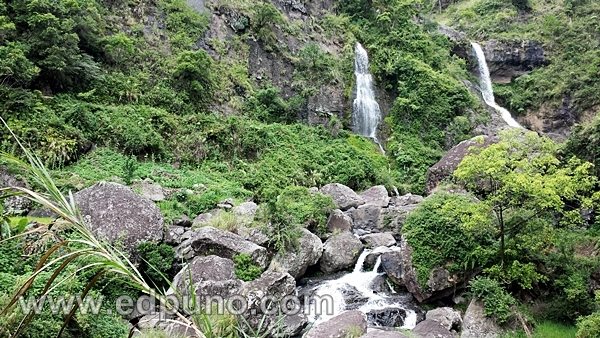 The amazing landscapes on our way to the falls, friendly Ankileng locals, our wonderful tour guide, my very encouraging friends and of course the beauty of Pongas Falls make the experience thrilling, fun and memorable.